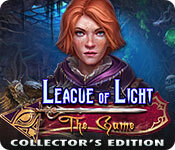 Rated 3 out of 5 by middleagedmale50 from League of light, the game I do not know if our reviews are read by or made known to the developers, but I must agree with some of the others in that as much as this game can be enjoyable, it is knocked down by so many dialog voice overs and this is a bit of too much, too much. Just my two cents. Rated 3 out of 5 by rainworm from Survival of the strongest - An escape room game Quite popular by now for people to play in groups: you can rent a play area, where you are closed in and have to escape. In the real world you may fail and are let out – not in this game. Here you play for your life. The introduction shows us a round table with hooded figures around it, watching the candidates in their games. Seems always the same task for them: escape or die. As a member of the League of Light you have about to get a new assignment. This time you even may choose one. Of course, you take over the most difficult one and … wake up in a dungeon. With you is the little scarecrow, your helper. Your first steps lead you out of the dungeon but you are still in a hostile world full of traps. Here and there you communicate or better, the masters of the game, communicate with you via a sphere. So you learn, every 50 years they send the strongest and cleverest in the game of survival. And only one can win. You will meet other participants, a man (Mads) and a woman, who calls herself Fox. Fox and you are hit by poisoned arrows and you team up with her to make the next step. Mads plays on his own. What began as a lonely struggle to leave the dungeon, turns out as a game with more players, one of them now in a team with you. The masters cannot like this. Indeed an escape room game with a certain thrill, as you want to overcome all those obstacles and find out, who sent you on this macabre journey. Little scarecrow is back as your helper. He is not optional this time and very present. So many of your tasks are designed around his use. Though the puzzles are varied and most of them easy, many HOS are just lists, some are more creative but nothing new. A pro for the game is the story, as the idea of survival games is refreshing in the course of the series. We have 5 chapters (plus a bonus chapter) of challenging escape through varying rooms with a lot of traps. But looking closer, behind all we have the usual evildoers, some mages, who seek entertainment. So we find ourselves back in well known structures of good and evil and with little scarecrow as a must-have and with that step the game is thrown back to a slightly altered variant of the tales, already told. Fans of this little one will rejoice to accompany him through another adventure, all those, who do not like helpers in games, will see his overall presence as the contra. Rated 2 out of 5 by biscuitsmama from NOT MY FAVORITE GAME IN MORE WAYS THAN ONE League of Light: The Game is the sixth game in the series. I think that of the previous five games Wicked Harvest was my favorite since the following games simply didn’t have the same appeal for me. I tried several times to play the beta for the current game and the one major thing that put me off is the storyline that is loosely based on the Richard Connell short story - The Most Dangerous Game. In this game we find our detective (us in the game) in a cat and mouse survival story that pits her against other participants in the game in where only the strongest will survive. The one who reaches the end of the game is declared the winner and will be asked to join the Council. 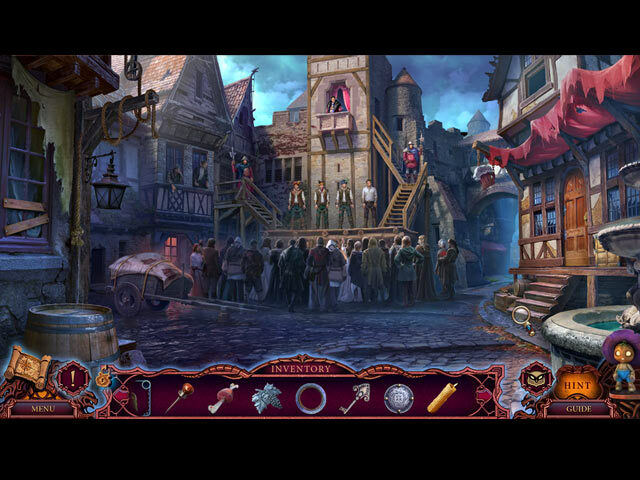 Our League detective stumbles into the game seemingly by accident after her carriage is attacked as she is on her way to her next case. Will she survive the twisted intent of the Council and survive? The answer will be found as you play League of Light: The Game. When we set up the game we can choose whether we prefer a male or female character, which is a nice touch. As in previous games we have our pumpkin head scarecrow helper who will assist us in obtaining some needed items. The developer has provided an option that shows where we have collectible items available as well as areas where we have tasks. The think I didn’t care for in the map is that is shows where we have any available task and not only the current task. 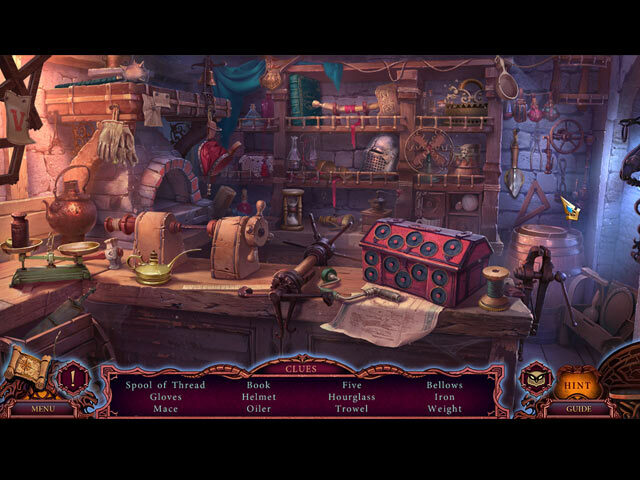 The game has nothing exceptional or different in the way of HOPS or Puzzles as we have seen them all before. At least during the demo we encounter multiple mini-HOPS where we must find and repair parts of broken items before they can be used. Aside from the mini HOPS there was a variety of style but most seem to be the list type. The puzzles include the typical moving mazes where we must avoid obstacles in order to either gain an object or to reach another location. I personally dislike those puzzles and prefer the mechanical type or those that require me to think. 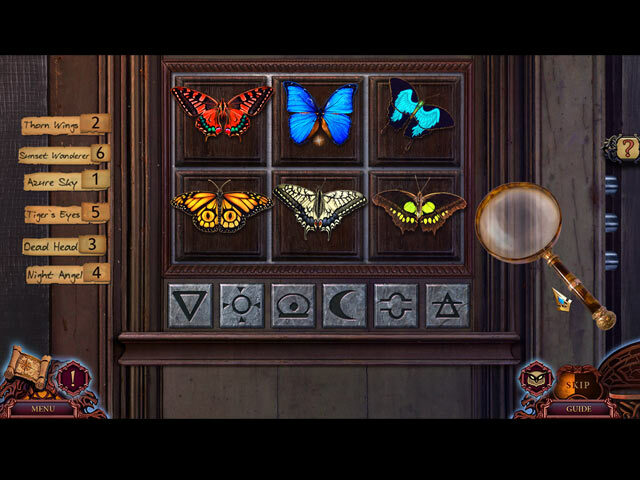 That being said, there still are some good puzzles included in the demo but most are relatively easy. The CE is nothing outstanding aside from owls to find in each scene and handful of collectible figurines. The game has all of the obligatory extras but not much more. Many times I have requested that developers make their full CE content available in the demo of a game. Since this developer only allows us to see that there are two chapters in the game and then skips to show the collectibles, I will not purchase it until I know what the full content might be. The only way I will purchase a “hidden” CE game package is if there is an excellent sale, and I certainly will not pay full price to purchase “a pig in a poke.” IMHO, BFG and developers shoot down their release day sales when they choose not to show the full content of a game. In the end, the CE content wasn’t important to me since I did not care for the storyline. I find any game theme that pits people against one another in order to survive, not one that I enjoy. I much prefer a game where people will openly help each other succeed. Perhaps you will enjoy the demo far more than I did and find the game perfect for you. As for me, the game is really not one that I liked, which is rather disappointing since I do enjoy most games from this developer. As always, please try the demo. Happy Gaming! Rated 1 out of 5 by CaptureTheGlory from Really wanted to like this game I really tried to like this game. I do not understand the good reviews. The game was the same old tired theme, Nothing new. I do not often find a game where I do not finish the demo. The story line was so annoying that I couldn't continue. Rated 1 out of 5 by mustangcelli from Highly Annoying! If a game doesn't give the option to mute the irritating voice narration separately - forcing one to turn off the sound just to make it through the demo - then the game will never be considered for purchase. Too bad because I really liked the rest of the series.